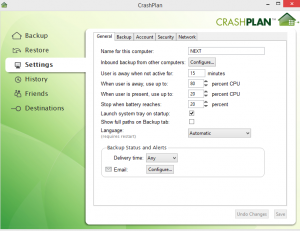 CrashPlan is backup service that prepares you for the worst case scenario, basically for all eventualities. In the event of hardware failure, natural forces or even just plain data corruption using their service allows you to save your precious data. They essentially offer a simple and straightforward plan that has you covered for when things go wrong. Simply download one of their OS apps either for OS X, Windows, or even Linux; then set your designated backup point and hit start. 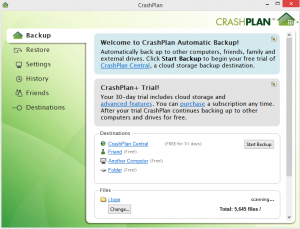 There is two incredibly simple plans that CrashPlan offer, their free and paid subscription plans. 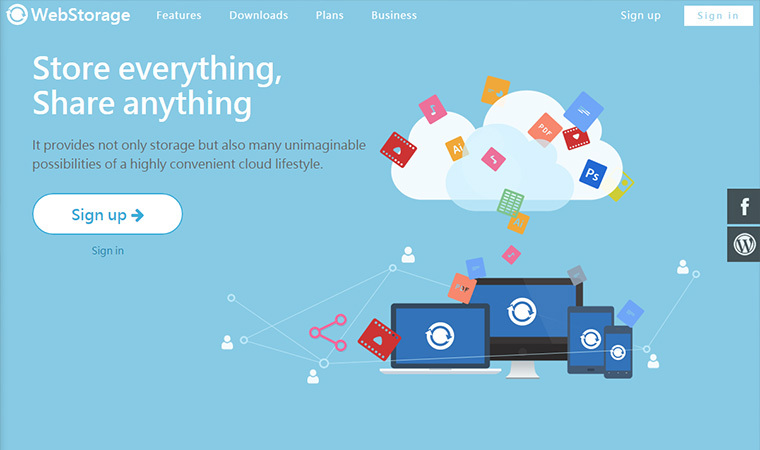 The free plan doesn’t include features such as online storage and multiple backup sets, there free plan also provides a limited backup frequency. On the other hand their subscription offers basically unlimited online storage and multiple backup sets, the unlimited plan also provides unlimited backup frequency. Another major difference between the two plans is the unlimited one offers beefed up security, from a 128-bit encryption to 448 encryption. The subscription plan for an individual starts at the incredibly competitive and low price of $4 a month, although this is for one computer and only comes with a four year subscription. Whilst their family pack starts at $9 monthly and is for up to 10 computers, although this comes with a every four year subscription this price is still quite low compared to its competitors. 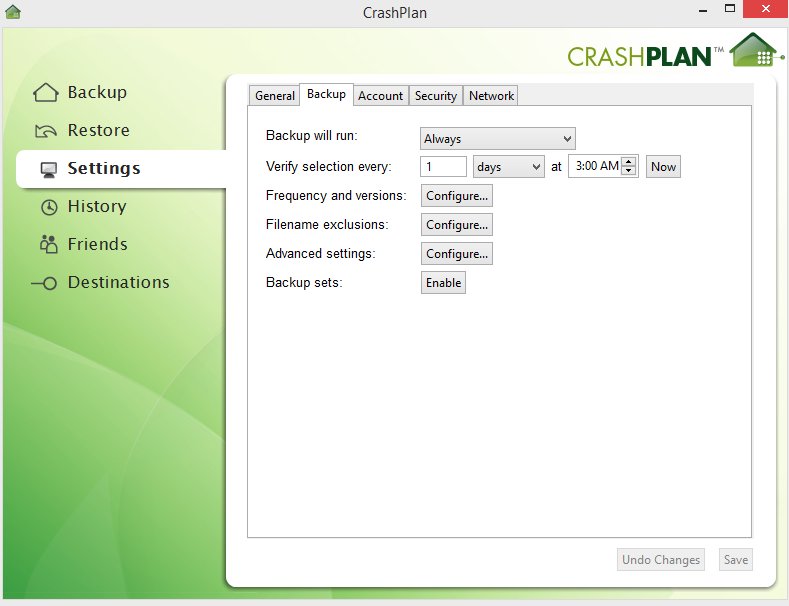 Backup is one of the primary features that makes up CrashPlan. 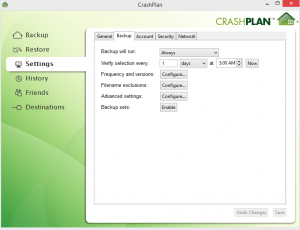 You have truly unlimited backup when it comes to CrashPlan; regardless of whether it’s a gigabyte or terabytes of data, they have you covered. As far as backup in itself goes it uses a triple layered system which we’ll look into in more detail in some of the sections below. Lastly the main feature comes down to security as they use a high level military encryption unlike most cloud services, which means your data is more highly secured compared to the encryption levels of most cloud based services. 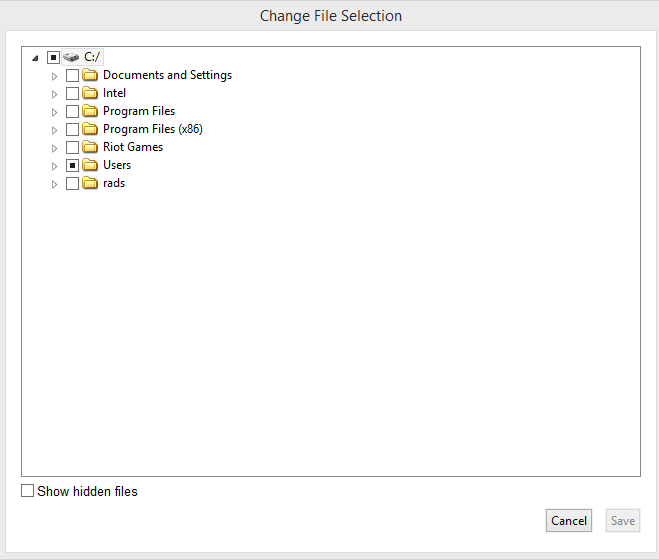 Extra features include mobile support, silent backup, external backup and more. 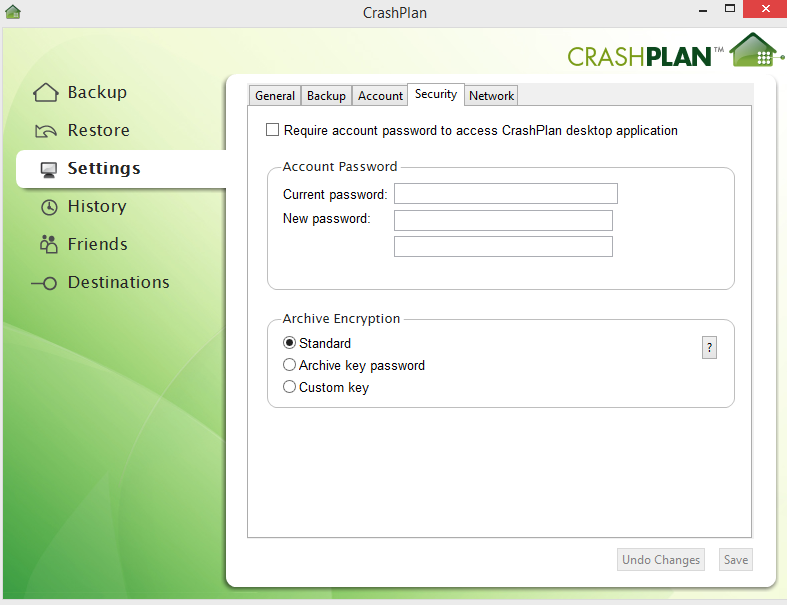 CrashPlan utilizes a 448-bit encryption when it comes to protecting your files. This is a multi-layered security model that includes everything from account access to transmission of the actual data, this encapsulates your security the whole way round making it highly secured. 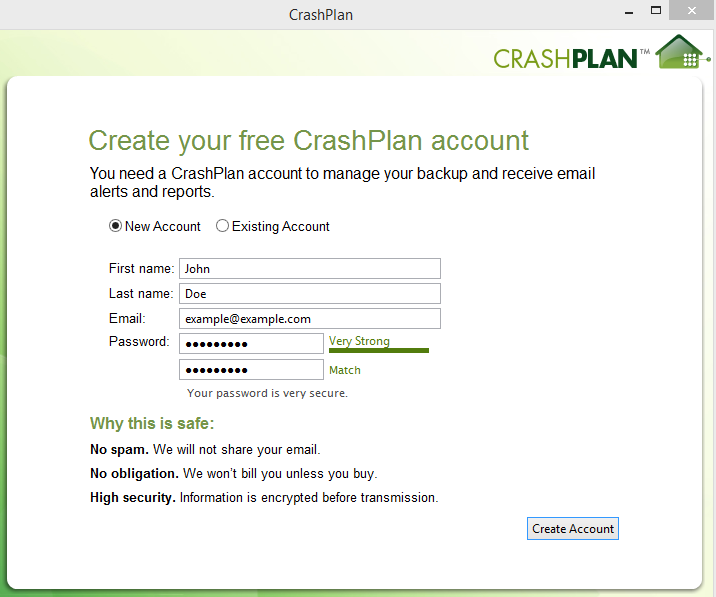 CrashPlan is trusted by over 100,000+ companies as their servers are monitored 24/7 with power redundancy and climate controls; they even have fire suppression systems, this ensures your data is always completely protected and is one of the main reasons the service they provide is so popular with businesses. CrashPlan didn’t seem to be have the fastest upload and download speeds, though they certainly aren’t as slow as many other providers. Before I share the results of the speed test, understand that I am on a moderately slow Internet connection. My ADSL line has 1 Mbps upload bandwidth and 5 Mbps download, which is rather slow when compared to emerging connection options such as Gigabit Ethernet/Fiber lines. To run the test, I uploaded a 135MB file, and it completed within 22 minutes. Again, users with faster Internet connections will notice much faster transfer speeds. 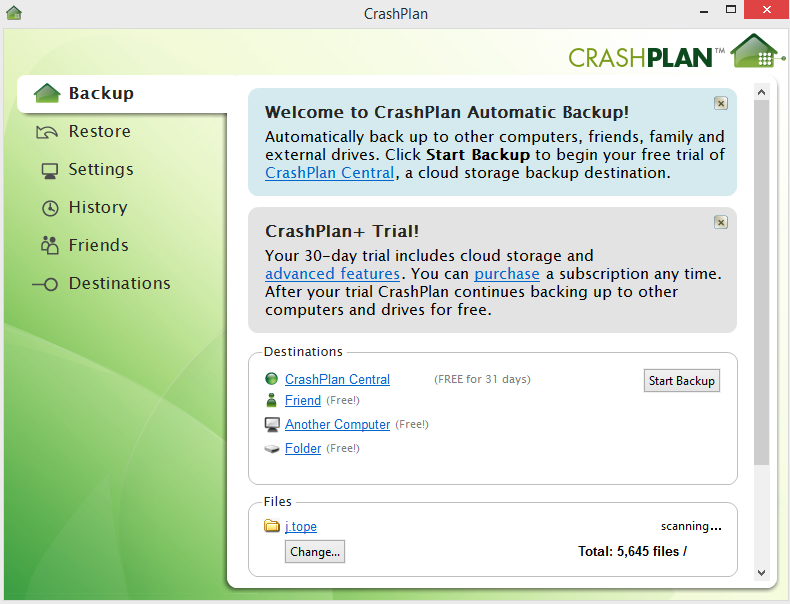 Backing up is one of the primary functions that CrashPlan offers. 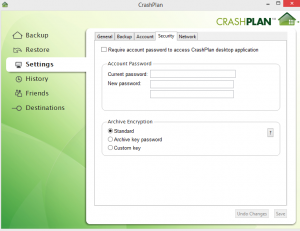 With CrashPlan they support all file types whether it’s pictures, videos, or word documents. On top of that they offers a three way backup system. 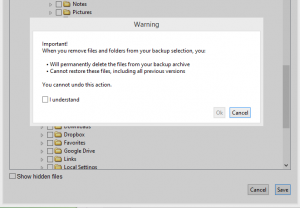 This means that you can backup to their cloud storage, or you can backup to an external drive, and lastly you can backup to another computer. This means that your backup plan entails local, offsite, and online protection. This means that your data is truly protected against worst case scenarios and any problem that may arise. At the other end of the spectrum restoration is made easy and convenient. 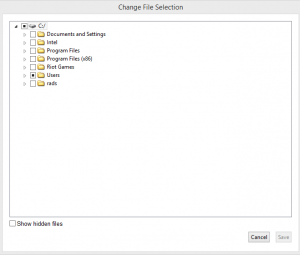 The service they provide allows you to go through files stored in CrashPlan, this allows you to get older versions of certain documents. They also offer what’s called a regret-free zone; a gregret-free zone means that they keep all your deleted files forever unless you have ever instructed otherwise, this means that in the event of any accident occurring your files are always kept safe. Last but not least the best data restore option that CrashPlan’s service provide is that they offer a restore-to-door priority recover service. 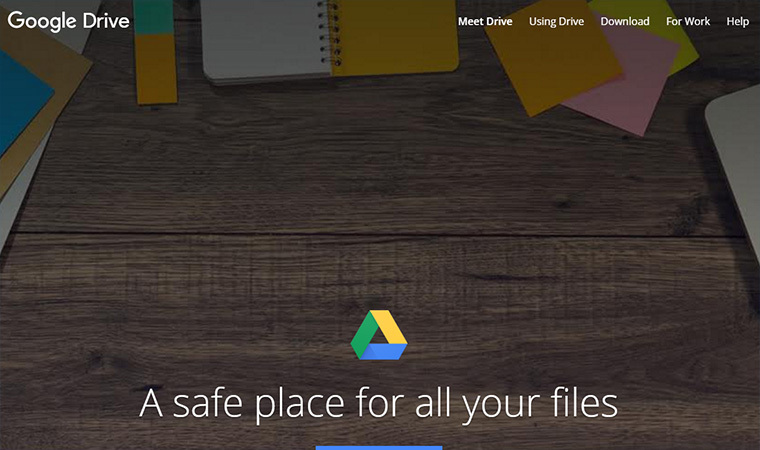 This means that following any major data loss, they can mail you a drive loaded with your backed up data. This service means that in the event of any unforeseen emergencies, they provide a way for you to have your data within a couple hours as they will send it to you on a local drive. Their service features 24/7 support over phone or live chat. They offer quick responses and a great customer service is guaranteed. With such a vast amount of customers already; they’re database is already full of commonly asked questions or issues that can arise, this service is free to browse over on their site as well. All of these queries are also laid out simply on their site as well. 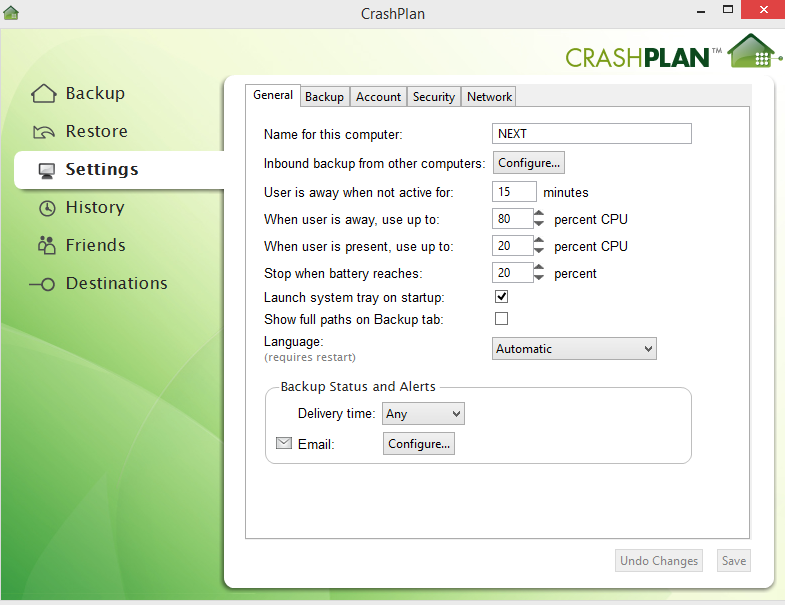 CrashPlan really takes the cake in the overall scheme of things. 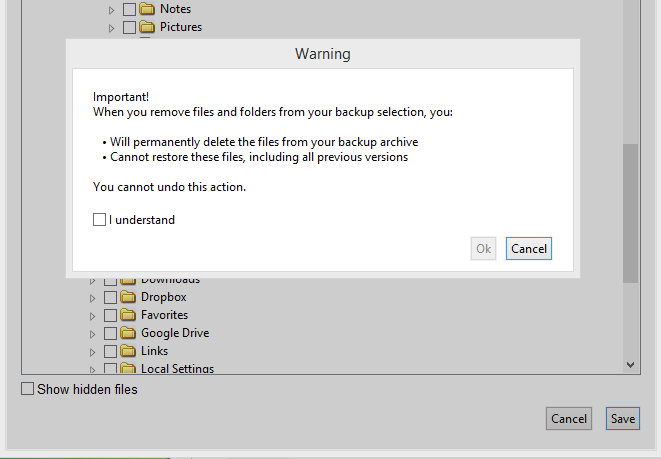 They cover all of the bases a true backup service should provide whilst also offering simple and concise plans. They offer true backup that protects your data in all situations and for all eventualities. They also keep their software and practices simple for those who aren’t as tech savvy but value their data none the less. 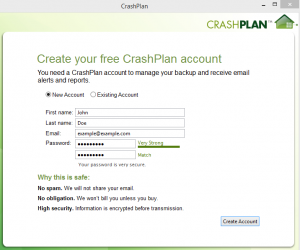 The service they provide is affordable and honest, CrashPlan is one of the major juggernauts of cloud based services and definitely one you should consider as they meet both business and personal requirements.